I Think, Therefore I blog: Pakistan needs more provinces! So when Imran Khan promised the creation of a South Punjab, it was a pleasant surprise to hear him say something intelligent for once. Imran made this promise recently as he welcomed turncoats from South Punjab into his party; defectors who enjoyed the perks and privileges of being MNAs for the past five years while saying nothing about creating a new province, until now. 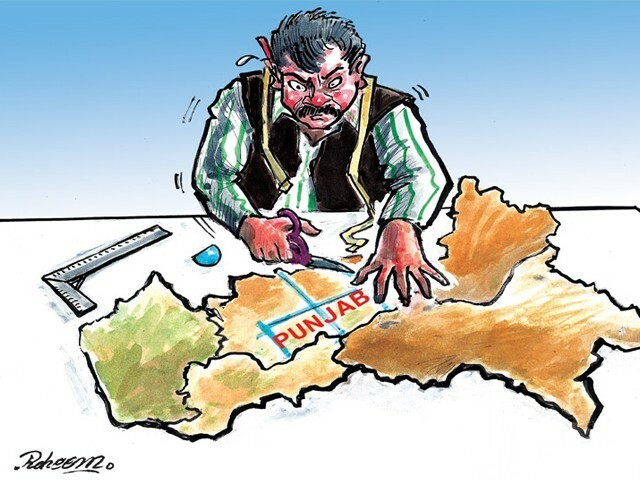 So according to Imran, and rightly so, Punjab should be divided. But if he really is sincere when he says the country should have more provinces, why does he want the Federally Administered Tribal Areas (FATA) to be merged with Khyber Pakhtunkhwa (K-P)? Why not have more provinces to make K-P itself more manageable? And why does he say nothing about Sindh being divided into smaller provinces as well? “Karachi cannot be a separate province,” he said. He knows that if he says otherwise, his party will get no votes from the rural areas of Sindh. So it seems Imran is just paying lip service to the cause of smaller provinces, and he will continue to do so as long as his party remains in the opposition. Devolution of power by having more provinces is good for democracy and strengthens the country. Unfortunately, neither Nawaz Sharif nor Asif Ali Zardari want power to be given to local bodies. The Sharif brothers have spent more than half of Punjab’s budget on the beautification of Lahore, whereas the less is said about Sindh, the better. Although Karachi contributes most of the revenue for its province, hardly anything is spent on the city, and the mounds of garbage accumulating have made it the dirtiest city in the region. Of course, if even some of the revenue contributed by the people of Karachi had been spent on the welfare of the city, would the rulers of Sindh have been able to siphon away billions to foreign countries? After all, Rs2 billion in cash was allegedly recovered from a raid at Information Minister Sharjeel Memon’s house. Where did he get such a huge amount of money, and that too in cash? One problem faced by the common man is that the rulers are inaccessible to the public at large. Gwadar is about 800 kilometres from Quetta, the capital of Balochistan, while Zhob is about half that distance from Quetta. People in these two cities have to spend a considerable amount of time to get their personal problems heard by ministers. Similarly, Multan is 300 kilometres away from Lahore, and the distance between the Kashmore District and Karachi is 600 kilometres. Dividing the country into more provinces could ease the problems faced by its people, as having more provinces will bring the seats of the government closer to the citizens. There is no reason why Pakistan (with more than 200 million people) should have only four large administrative units. Having four provinces made sense in 1947, when the population was only 30 million. Switzerland has a population of eight million, less than half of Karachi’s, yet it is divided into 26 parts, known as cantons. No wonder Switzerland is one of the most efficient societies in the world. Turkey, with a population of 81 million, has 81 provinces, while Taiwan, with 23 million, has 22. Having only four provinces has encouraged corruption and ensured Pakistan remains backward and underdeveloped. This situation cannot continue for long, and unless more provinces are created, the people will be forced to come out on the streets. Those who live in Karachi know what it is to have rulers who know nothing about their problems. The city used to have a Karachi Building Control Authority once, which was the largest contributor to its revenue. The greedy rulers of the province, belonging to the Pakistan Peoples Party (PPP), renamed it to the Sindh Building Control Authority so they could have control over this lucrative department. Out of the 27 directors of this moneymaking entity, 22 are outsiders posted in Karachi, no doubt after paying a handsome sum to get the job. In fact, practically all those who preside over Karachi’s destiny have had their origins in other cities of Sindh. Consequently, you meet very few genuine Karachiites working in the departments of the Sindh government. Most policemen in Karachi are unable to make themselves understood because they cannot speak the national language fluently, as they have spent their lives in villages and small towns far away from Karachi and have been appointed for being party activists. 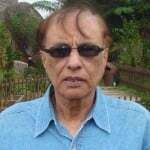 If Karachi were made a separate province, its elected ministers would be aware of what the people need, and since they would be easily accessible to voters throughout the year, they would ensure that taxes paid by the people are spent wisely and not siphoned away into foreign bank accounts. I have no doubt that in every provincial capital, government servants are appointed by ministers from their own constituencies and not on merit. Conversely, having more provinces would mean more employment for those who are residents, and street crime would decrease as a result. Ideally, all those cities or divisions with populations between 10 and 20 million should be made provinces. Karachi, Lahore, Gujranwala, Faisalabad, Bahawalpur, Dera Ghazi Khan, Hyderabad, Multan and Rawalpindi would all fall under this category. The cities having less than a million residents can be merged with smaller neighbouring towns to make more provinces. Due to its small population and large area, the present six divisions of Balochistan can be made provinces, while K-P can be split into three provinces. Sindh can have five: Karachi, Hyderabad, Larkana, Sukkur and Mirpurkhas. Having more units would mean the transfer of funds to more people who can use them wisely. As we have seen in Punjab, most of the funds have been spent in Lahore, central and north Punjab; all part of the core constituency of the Sharif brothers. South Punjab has therefore seen very little development in the past five years. Even though a federal system of government works best when control and authority are decentralised, as is the case when more provinces are created, it is doubtful that the present mindset and greed of our politicians will allow them to agree to the formation of more provinces. Our citizens will thus be compelled to go on living as they have in the past, with poor healthcare, without proper education for their children, with battered roads and heaps of garbage lying everywhere.